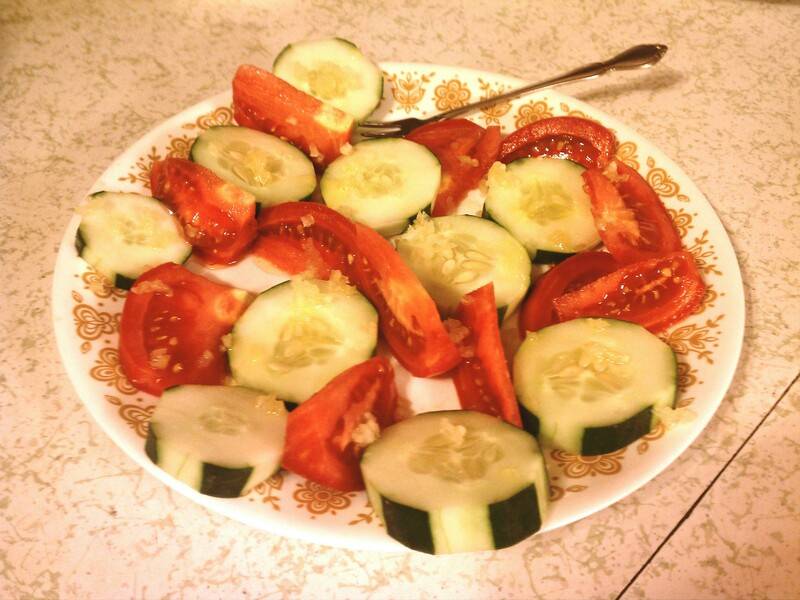 Fresh cucumber and tomato, sliced. Two cloves of fresh garlic, pressed. Guaranteed to make your taste buds sing!!! that sounds and looks delicious!!! And definitely fresh and healthy!!!! Yum! Previous PostPrevious And Suddenly, My Day Got Prettier!